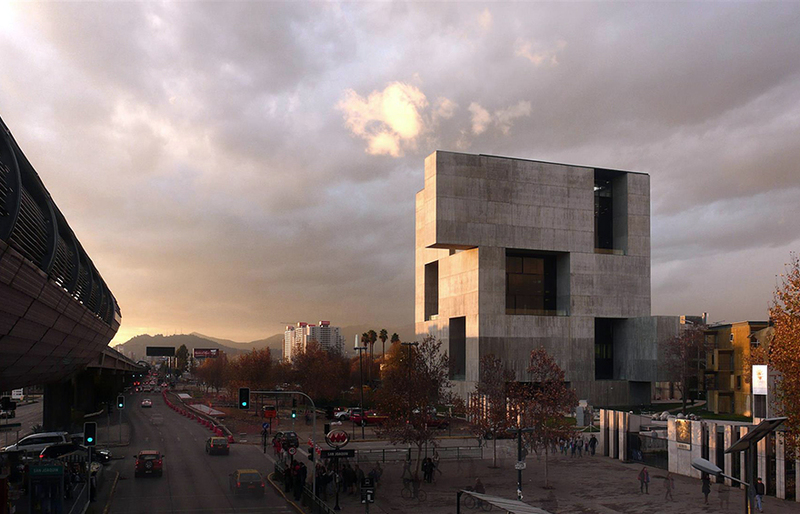 To begin with, the Chilean architect explains why he is not alone to present his firm’s work, Elemental. There is no form without collaboration, so a colleague is here today to present with him. They are not better people but (we) engage in a societal conversation as designers. […] The question can be anything, we engage as citizens who happen to do form. Talking about form is not easy, without over-complicating it, neither reducing its depth. 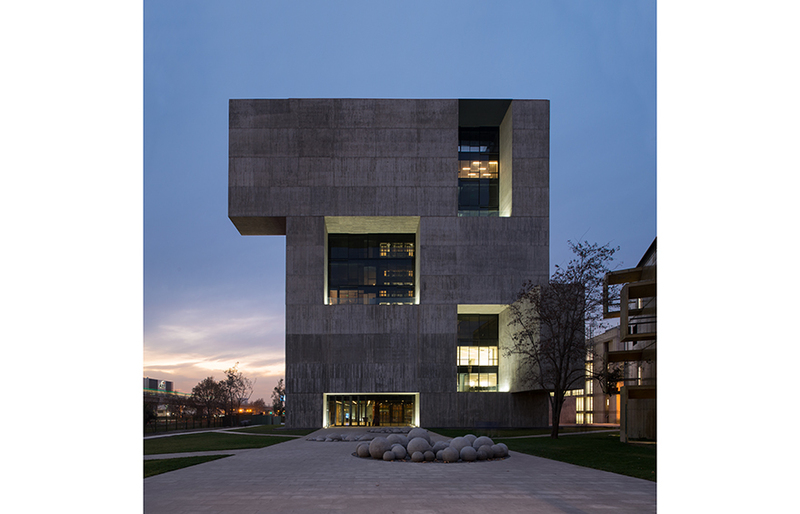 All the way through his presentation and in order to talk about the design process itself, Alejandro uses his project of the UC Innovation Center in Santiago as a study case. His illustrations are pictures of the building and a continuous flow of live sketches he is drawing while talking. Use, not just program but the conditions for more knowledge sharing. Use can be defined with four different directions: formal/informal and individual/collective. Character, hard to articulate even if it is the first thing that comes to mind. It is what made the firm win the competition and it is the way to fight the stance of time. This is how you make an architectural language that is timeless. Innovation, which main obstacle is obsolescence. Take a glass tower for instance; on top of consuming energy, it is flashy and then more susceptible to get obsolete. For this project, it is the contrary: mass is on the outside. The most simple elements of the project are stacked together with a concept to express and carry through the design process. Here this principle is gravity. 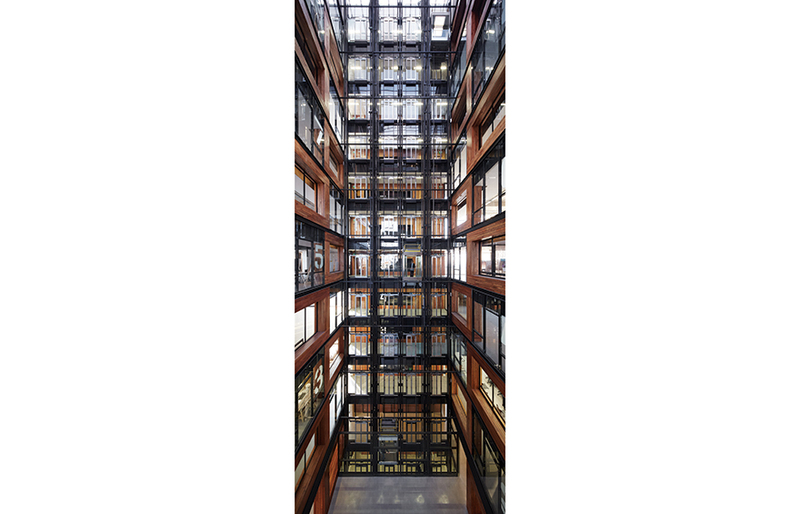 The weight of the building is expressed and is physically felt by the visitor. 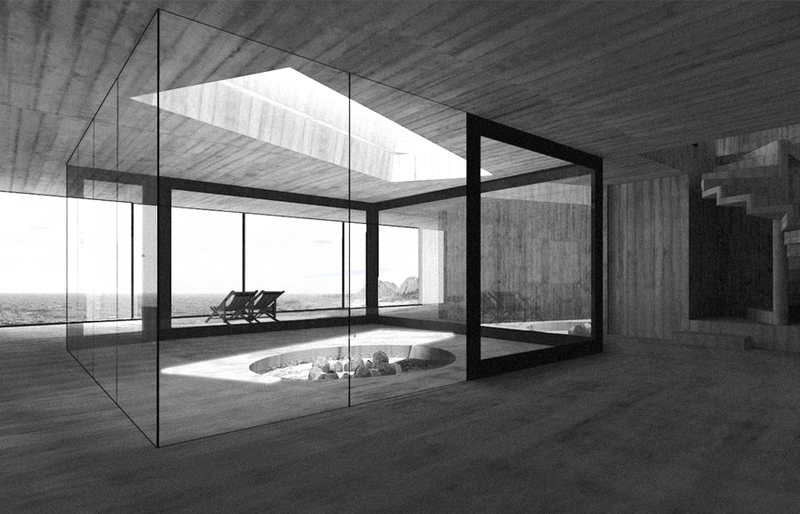 We architects tend to modulate the question to be sure the outcome would look good. […] Let’s try not to do that and let the question genuinely create form, by forces that might have seemed contradictory at first. Yes, Architecture is about art and the essence of humanity, but that is what is expected from us. We are seeking Beauty for sure but that’s not it. Integrated, not oppositional, are more forces that we engage as architects (see list above). 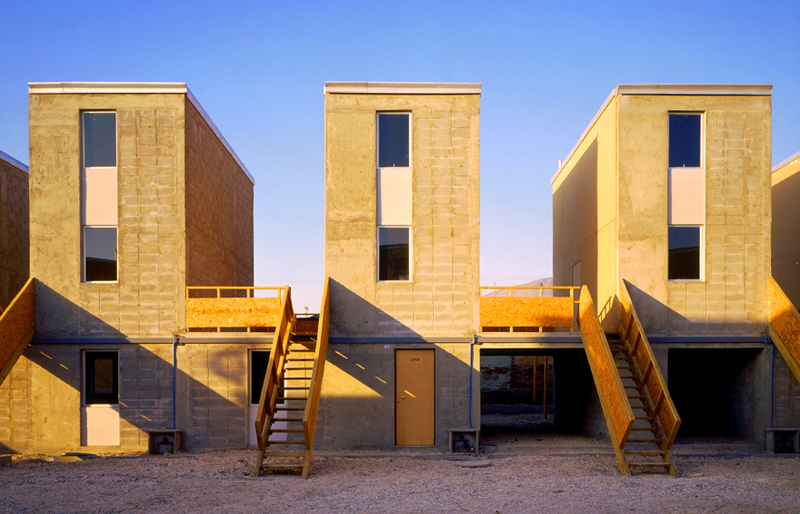 I discovered later than Alejandro was internationally praised for his work on social housing. This project in Iquique let the occupants, made owners, to start with the bare minimum and finish their house themselves. This inventive solution lowers the cost of construction and enables a high increase in property value while giving responsibility to the owner. We went into social housing because it is a difficult question. We want to offer a professional quality more than a professional charity. […] Architects are stuck. They are blamed for being superficial starchitects but when attempting to tackle real societal questions, they are pushed back with a “oh no this is too political”. […] We need to abandon our system of judgement to explore new fields. Architecture is a mirror of society, its questions and problems to solve; but is also an eye on society with the expression, the creation, of a human being. It has to be both. Elemental is about designing no extra fluff. “No way!” I think to myself while pictures of interiors are browsed. 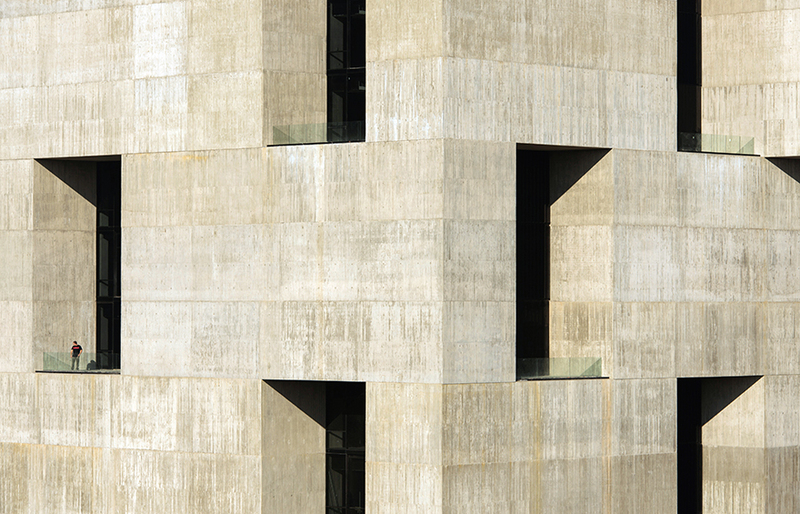 Bare concrete is shamelessly glorified. 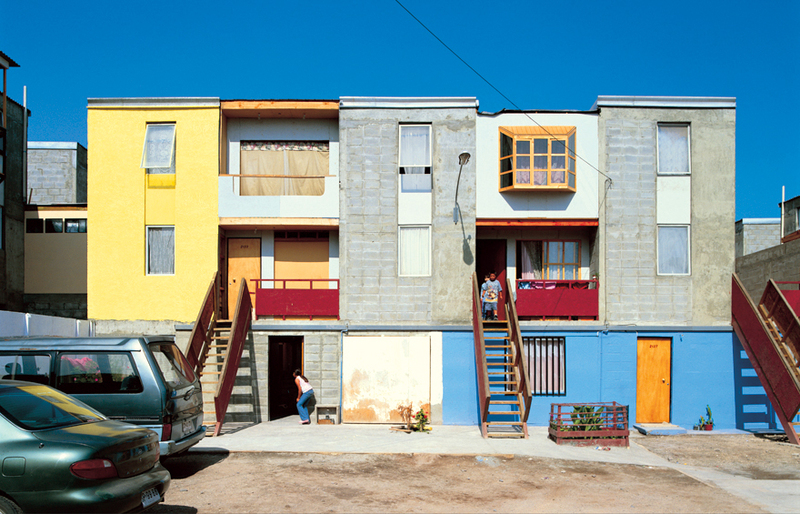 Then Alejandro solves the architect’s eternal question so well: between needs and desires, what architects do is to give form to places where people live. And life is not just basic needs. On the other hand, desires are irrelevant by themselves. Let us not think too much about form: sometimes, we need to just shut up, try it out and see if that works or not! See more projects on Elemental’s website.